Danni's Dreams: Release Day Blog Hop! 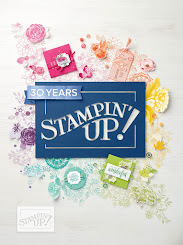 It's Friday and the day is finally here...RELEASE DAY for all 4 of the new JULY Stamp Sets and Coordinating Dies: Dashing, Let's Mingle, Ho Ho Holiday, and Pop-Out Xmas!! We have been previewing these adorable sets over the last few days, and NOW they are available in The Greeting Farm Store. To celebrate, we are having a BLOG HOP!! Since we have 4 sets this month, we are going to pick 2 lucky winners (each will receive two stamp sets). 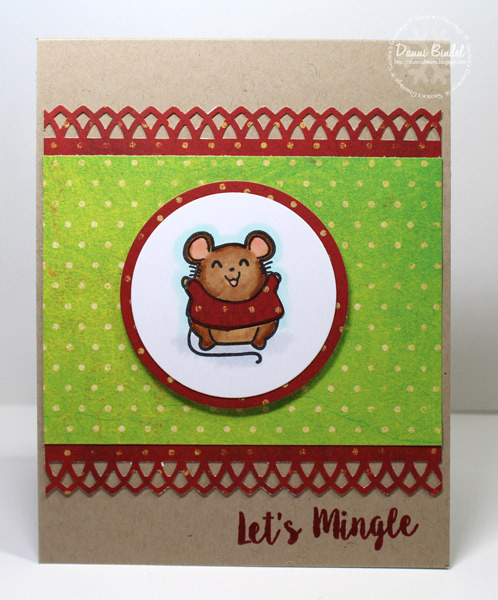 My card today uses the super cute set, Let's Mingle! I love these mice! Be sure to leave a comment on each designer’s blog, and then head back to The Greeting Farm Blog to let us know you completed the hop. You have until Sunday, July 24th at 12pm CST to leave your comments below. We will announce the two random winners later in the week! 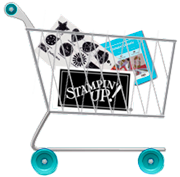 We’ll have more inspiration over the next few days using these fabulous new stamps! Don’t forget you have until Sunday, July 24th, 12pm CST to leave your comments. Lovely card, this is a really cute release I must say! How cute! I like how you paper pieced the sweater. Cute cards. Ready to try. Clean and simple. What die did you use for the thank you? Lovely! I adore your cute little mice! Adorable card! Love the colors that you used! Cute holiday card! Love the sweater mouse and sentiment. Sweet card! I love the little mouse in his sweater! This is a great release! This image makes me smile. Reminds me of a kid on Christmas morning. Love that adorable mouse! Sweet card! Really like the layout on this card! Very pretty! So super cute !!! Wonderful image ! ADORABLE! Love how the mouse is the focal point. Greeting Farm stamps are so cute! Love to make Christmas cards! Very sweet card ...this little guy is so cute. Love th I 's card, so cute! This card just makes me smile, such an adorable and happy card! Oh this little critter is so joyful! Love this card! This is so cute. Love the sweet image.